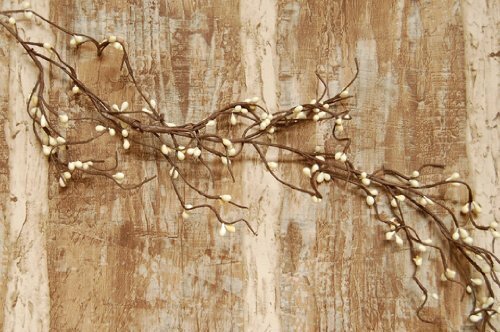 Ivory pip berries are on a wispy hand-wrapped twig base to create this 5 foot long wrap garland. Due to the handmade and/or special order nature of our products, express delivery may not be available. Please allow up to 10-12 days for delivery. If you have any questions about this product by BCD, contact us by completing and submitting the form below. If you are looking for a specif part number, please include it with your message.